It was much busier than I had expected, and tickets were like gold-dust. 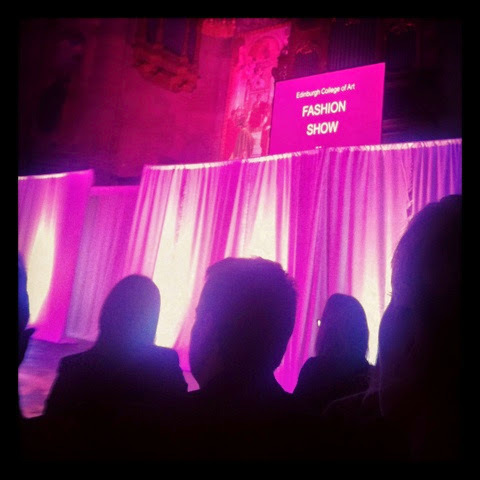 The McEwan hall had been transformed into a chic fashion-lovers paradise, with thumping music, low lighting, programme-lined chairs and a spotlit catwalk. There was undoubtedly a flurry of new talent unleashed at this event, with many awards being given by various fashion brands at the end of the show to various students. Theatrical eye-glitter and intricate hair braids seemed to be the image of choice for most of the shows, but when it came to the clothing, my eyes were opened to a whole new way of understanding what we mean by 'clothing' -the boundaries were certainly pushed in every way possible. I couldn't find all of the designers' webpages, and perhaps they don't all have them - but if you happen to know of any places online where these designers exhibit their work, that I have not already noted - then please let me know! That would be fantastic. I have starred (*) my particular favourites. A twist on a sort-of 'Gangsta' theme. All I wrote down was: Sheep Red Indian, Tea Towels on Head. But I think that pretty much sums it up quite well. This might give you a flavour of what it was like - sorry for the awful movie quality. 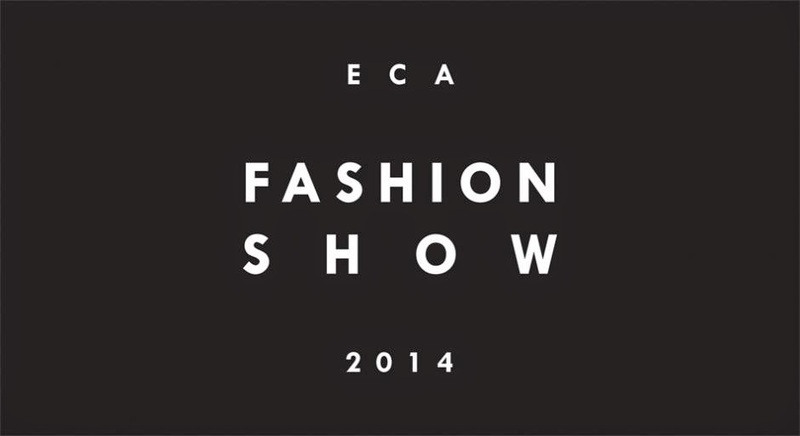 I will do a write-up of the Performance Costume and the group projects at the ECA Fashion Show 2014 as-well. 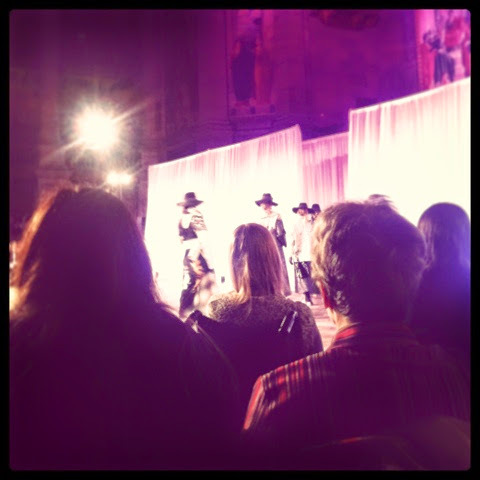 and I will pop a blog up on The Designer Index about the entire event soon.